Next month BULPROS will participate in the biggest technological event for Cisco Partners in Europe – Cisco Live Berlin 2017. This year the exhibition will be held from 20th to24th February at Berlin fair and the organizers are expecting more than 13 000 innovators and purchasing decision makers from over 140 countries. Providers and vendors from multitude disciplines and industries will attend the event. At CPV4 booth everyone could experience our latest products and solutions based on Cisco UC (Spark, Tropo, Jabber, WebEx), Big Data and Cloud. We will showcase the Incident Collaboration Manager (ICM), which facilitates a real-time collaboration during an incident resolution. The solution integrates an incident ticketing system with Cisco Spark, WebEx, Tropo. Our experts will present also Iriana, a Tropo based cloud solution, which delivers voice and text messages to phone/mobile users. Our next showcasing product is the Jabborate suite of connectors, which brings Cisco Unified Communications into productivity systems and business applications on-premise or in the cloud, like IBM Notes and Connections, SharePoint, Google Business Apps, SAP Portal and JAM. The features include Presence, IM, Voice/Video calls and WebEx Meetings. You could see also the WebEx Voice Control, a Tropo based solution, which allows you to communicate with WebEx by simply calling a phone number and using your voice to check for schedule or join meetings. The attendees of Cisco Live will have a possibility to understand more about Azure based cloud solution running on top of Cisco infrastructure, which provides a high-performance flexible platform ready for the hybrid scenarios featuring private cloud and Cisco UC integration into Google Business Applications. 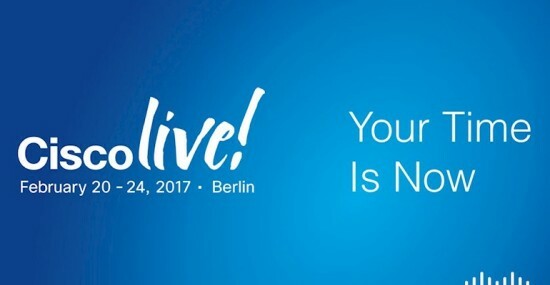 Looking forward to seeing you at Cisco Live Berlin, 20-24 February!